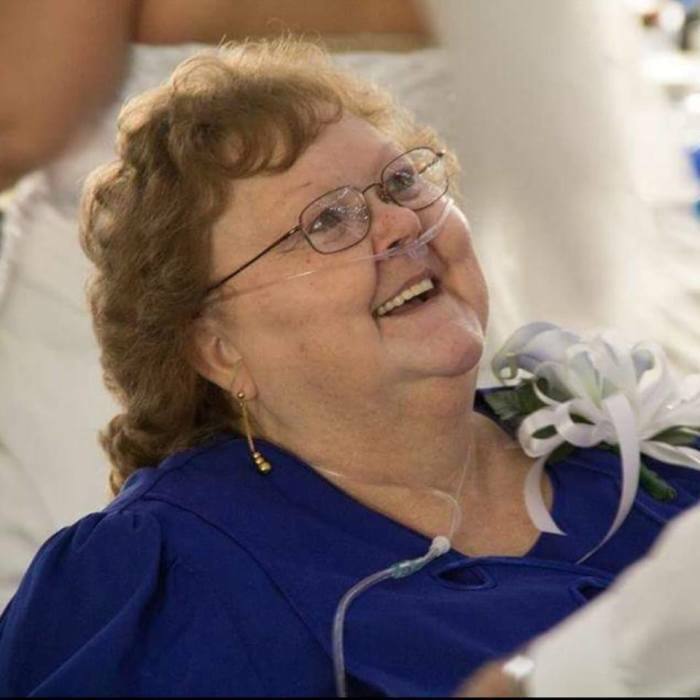 Connie Sue Bouldin Farewell, 61 of Glen Lyn, went home to be with the Lord on Saturday, July 7th, 2018 at her home. She was born in Pearisburg on November 6th, 1956 and was the daughter of Paul Russell (Bud) Bouldin and the late Genevieve Weatherly Bouldin. In addition to her mother, she was preceded in death by a grandmother, Jamie Weatherly; and special in-laws, Kenneth and Dorothy Farewell. In addition to her father, she is survived by her husband, Douglas Earl Farewell; two sons, Shawn Farewell and wife Christine of Glen Lyn, and Stuart Farewell and wife Amanda of Princeton; four grandchildren, Nicole, Austin, D.J., and Natty; a sister, Vickey Rachel of Rich Creek; three nephews, Nathan, Aaron and Justin Rachel; and her canine companion, Shadow. Funeral services will be held Tuesday, July 10th, 2018 at 2 PM in the Chapel of Riffe’s Funeral Service in Narrows with Pastor Ginger Neely officiating. Burial will follow in Birchlawn Burial Park in Pearisburg. The family will receive friends at Riffe’s Funeral Service Monday from 6 to 8 PM. The family requests that those sending memorial contributions, please consider Glen Lyn Fire and Rescue; P.O. Box 71; Glen Lyn, Virginia 24093.